Did you know it takes less than a minute for chemicals from skincare products to absorb into your bloodstream? 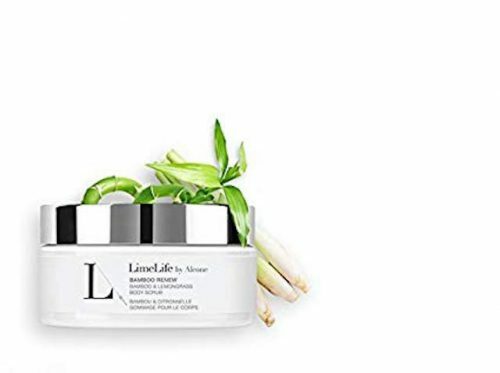 LimeLife has created a fabulous skincare line free of damaging chemicals, and not only are men and women improving their outside look, but they’re healthier on the inside, too. LifeLife is a family-owned company that produces products that create significant results. This invigorating body scrub will rejuvenate and renew your skin. It’s created with polishing Walnut Shell Powder, Bamboo, and an essential oil blend of Lemongrass, Mimosa Flower, and Litsea. The scrub gently foams and exfoliates your skin, leaving it smelling fresh and smooth. What is really nice about this product is it is not too rough or irritating to the skin so you can use it daily. If you have dry or flaky skin, then you should definitely check this product out. If you are looking for a natural and healthy glow to apply to your cheeks, then this is the blush for you. 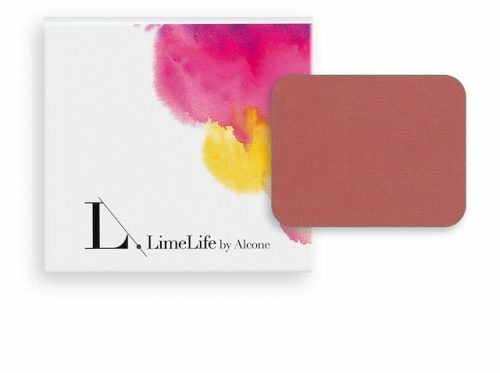 With just the right amount of pigment LimeLife has developed this product that will blend evenly with your skin tone. This is a great liner that lasts for hours and does not leave you with a bleeding or feathering look. 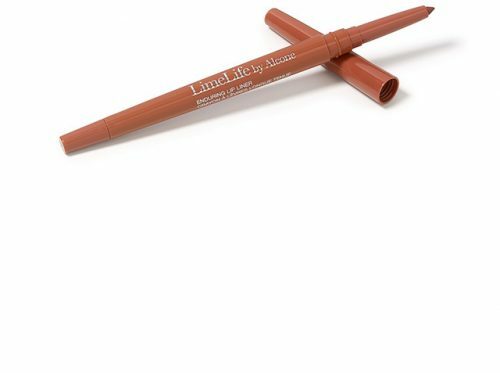 It blends in well with any lipstick of your choice and it’s an easy application that is perfect for day or night. 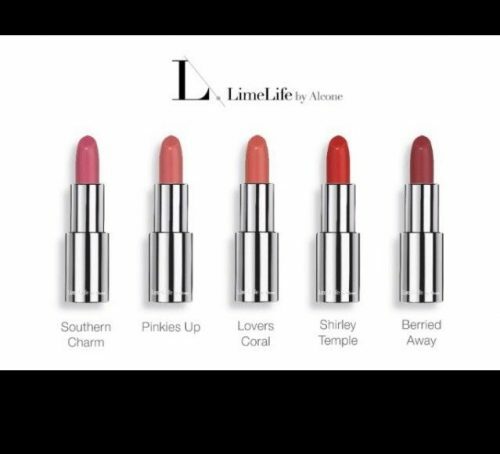 Depending on your mood or where you are going, LifeLife has two different formulas of lipstick to choose from. The Power Pout formula is opaque and highly pigmented, while Take A Hint is a sheer tone with just a subtle hint of color that lasts for hours. The 103 Collection line has created two fantastic products you will love and that are perfect for your face this Spring. 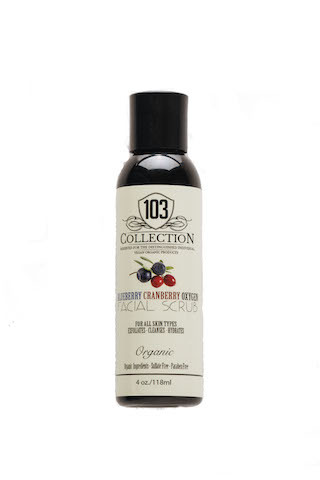 Founded by husband and wife team Delfondo and Melinda Herron, the 103 Collection is completely organic and vegan, paraben, phthalate, SLS, and cruelty-free. Reaching the multicultural market, the products are not only made for women but also for men. If you are looking for a gentle exfoliating cleanser that removes dead cells and renews your skin this is a fantastic product to try. Combined with blueberries and cranberries, the skin is loaded with antioxidants and the Vitamin C works for free-radical scavenging. Blended with a mix of organic botanical ingredients the scrub also stimulates collagen production, repairs skin damage, detoxifies, and helps eliminate hyperpigmentation. After a good wash your skin will feel soft and youthful. Often facial toners get overlooked, but they are just as important as a good cleanser for a couple of reasons. They help balance the pH minimizing the look of pores and they also assist removing any missed residuals during the cleansing process. Toners also help prepare the skin for the next part of your regime whether it be a serum or moisturizer. When you use a toner, your skin is less prone to oiliness and infection and your appearance is much brighter and smooth. This is a great toner that provides instant hydration to your skin and it feels good. Not only does the product contain vitamins and other essential skin nutrients, but after application your skin looks healthier and much more rejuvenated. Also, here’s a bonus: if you enter your email you will get 15% off your order.